This cabin right on Salt River is a fisherman's dream retreat! 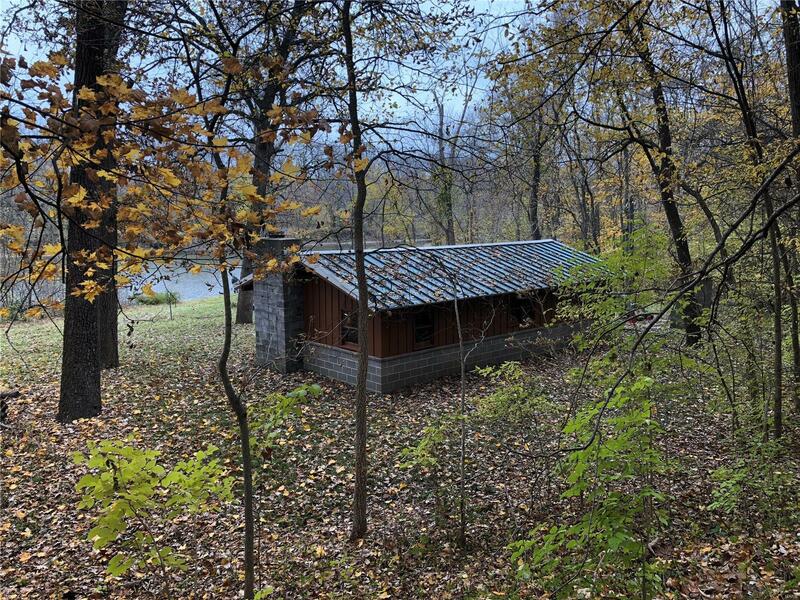 Built in 1968 it is very private and secluded on 1.03 acres m/l. Well constructed with brick and frame exterior and metal roof. The interior is brick and beautiful pine tongue & groove paneling. Wood burning fireplaces (inside and outside) are the only sources of heat. The cabin does have electric but no water. The range & refrigerator are included. A screened in porch off the living room adds to the rustic charm of this property. Mature black walnut and white oak trees could be logged. Access to property by water or ATV only.